Would you like to better appreciate fine distilled spirits? Whiskey & Spirits For Dummies is your complete guide to selecting and enjoying this family of noble beverages, flavor by flavor. From whiskey, rum, and brandy to vodka, gin, and cordials, this handy reference traces the history of distilled spirits, explains how they are made, and shows you how to evaluate, serve, and savor them. This thorough guide also features recipes for cooking with spirits, offering menu choices such as entrees, vegetables, and desserts that all include at least one type of spirit. 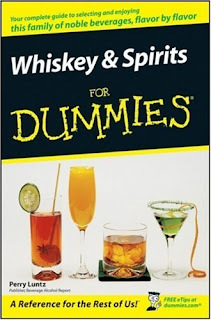 Complete with an appendix of craft distillers across the United States, Whiskey & Spirits For Dummies will give you the knowledge and hands-on guidance you need to become a connoisseur of such greats as fine Scotch, Bourbon, and Cognac in no time!